Why not add a little bit of fun to your outfit with this white and blue coloured lace , crystal heart and ribbon garter? Perfect for brides of all ages! Fab product. Great price. Item was exactly as seen. Thank you. 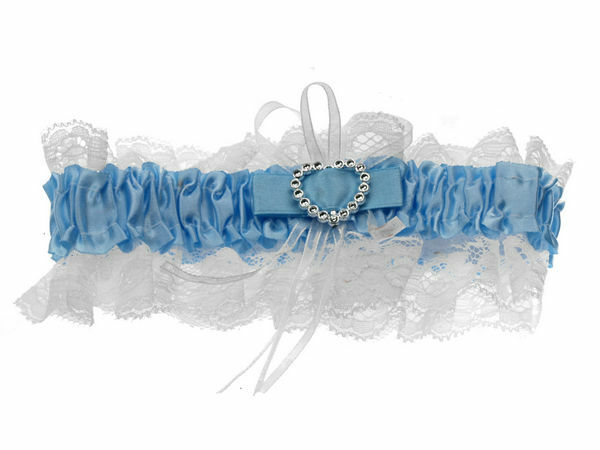 Perfect Garter for my something blue at my wedding. Needed the item really quickly as I forgot to order and Glitzgirls made sure it arrived on time!